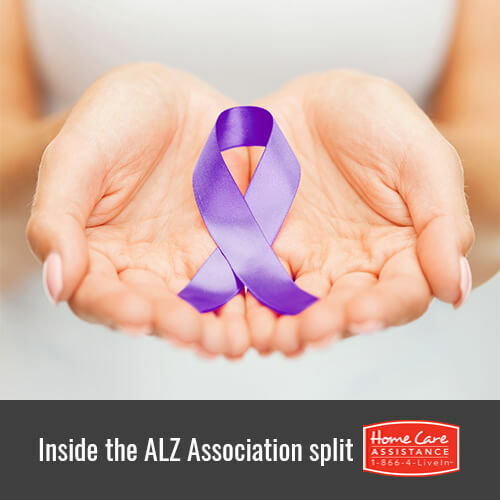 Are Local Factions Splitting from the Alzheimer’s Association? In lieu of recent events taking place within the Alzheimer’s Association, six of the 54 localized affiliate chapters decided to distance themselves from the national office. According to the defected chapters, growing concerns stemmed from various factors, including the possibility of losing functional and operational authority along with financial independence. The national office sought to obtain a 501c merger with all of the affiliate chapters. Although individual chapters were invited to vote on the proposal, the main office passed the merger despite an even 27 to 27-tie vote in favor of and against the merger. This action led some local chapters to believe that their voice was no longer being heard at the top. Additionally, many local chapters willingly provide the national office with up to 40 percent of their fundraising revenues. Tensions grew when chapters received disclosure of Alzheimer’s Association expenditures. It’s been reported that by 2012, the organization’s CEO was receiving $2.8 million dollars as an annual salary. Staff payroll also increased from $18 million to $45 million. Even more troubling was the fact that monies allocated for Alzheimer’s research declined from $28 million to $13 million. Given that the voices of individual chapters seemingly went unnoticed during the merger vote, various small chapters are growing increasingly concerned that they may also soon lose authority over funds received locally. Chapter money typically goes where local organizations feel the funds are needed most. Projects include Oshkosh, WI, Alzheimer’s caregiver support programs, outreach and training. Becoming independent from the national organization ensures that monies received will stay within the state or community and benefit the caregivers and Alzheimer’s patients therein. Individual chapters are also unhappy over having to send clients to the national office’s 1-800 number for information or resources. These chapters prefer having the option of working directly with clients on a more personal level in order to ensure that needy families receive the best service possible. One of the best resources you can turn to when you care for a senior with Alzheimer’s is Home Care Assistance in Oshkosh. We provide premier Alzheimer’s and dementia care designed to stimulate senior cognition, memory, and spatial reasoning skills in the familiarity of home. Additionally, our Alzheimer’s caregivers offer safety monitoring, medication reminders, mobility assistance, and more. Call us today at (920) 710-2273 to learn more about our premier Alzheimer’s and dementia home care and schedule a free consultation.